Fast Core i3! Ready to connect to your Wifi! 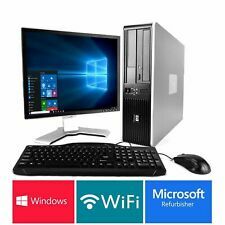 Lenovo IdeaCentre Q180 Intel Dual Core 2.13GHz 320GB 4GB WIFI 7 64bit 3.0 USB. Some scuff marks on top surface. Please see pics. Boots normally. Includes Q180 unit, mounting bracket, Universal ac adapter with US plug and VGA cable. Sold as is. No returns. 1 x HP 2010i 20" Display. 1 x HP Full Size USB Keyboard. Original Box. Not Included. AMD Athlon II x2 240 processor. 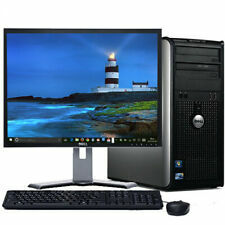 Lenovo Desktop Tower. Lenovo Wired Keyboard. Power cable for Monitor and Desktop. Hama Wired uRage Gaming Mouse. Item shows little signs of use from previous owner. Item was tested and works as it should. 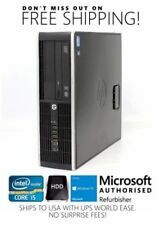 HP Pavilion Slimline s5-1114 Desktop PC with Windows 7. 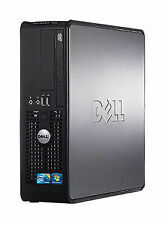 1TB Hard Drive 4GB DDR3 RAM. Does NOT include a wireless network adapter. 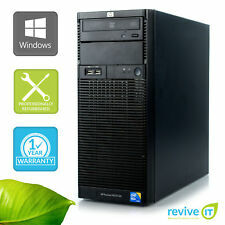 Hard drive includes original system recovery partition (Windows 7). 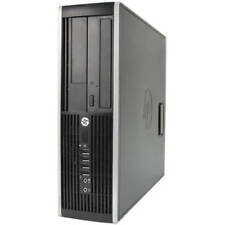 Includes original HP programs & utilities.